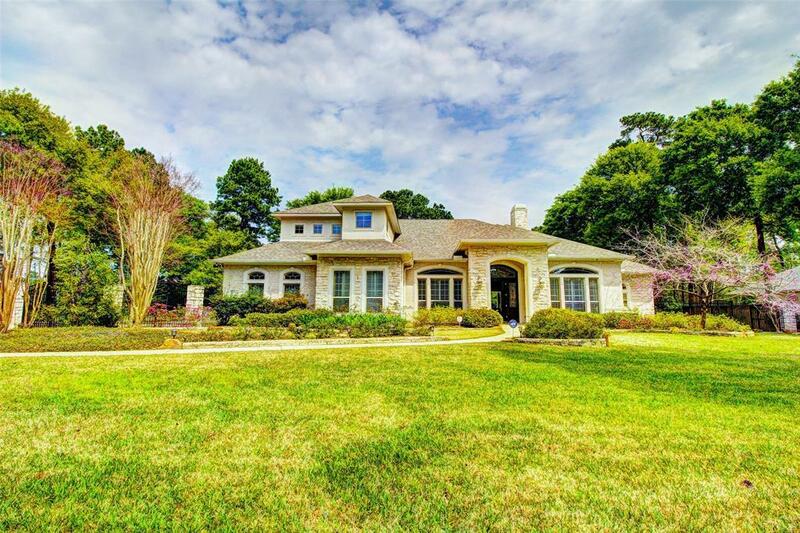 Luxury home with almost 1 acre in the desirable gated community of Champion Lakes Estates. 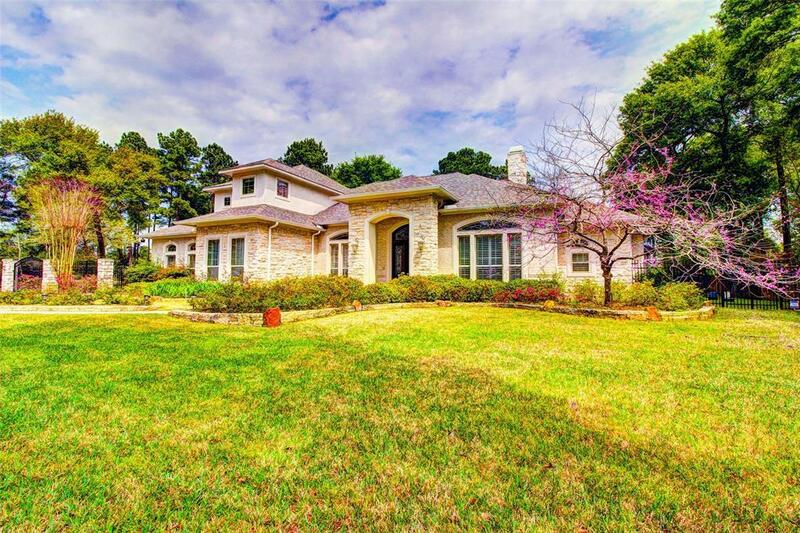 Located in Klein ISD near the new Klein Cain High, this custom home was builder's personal home. 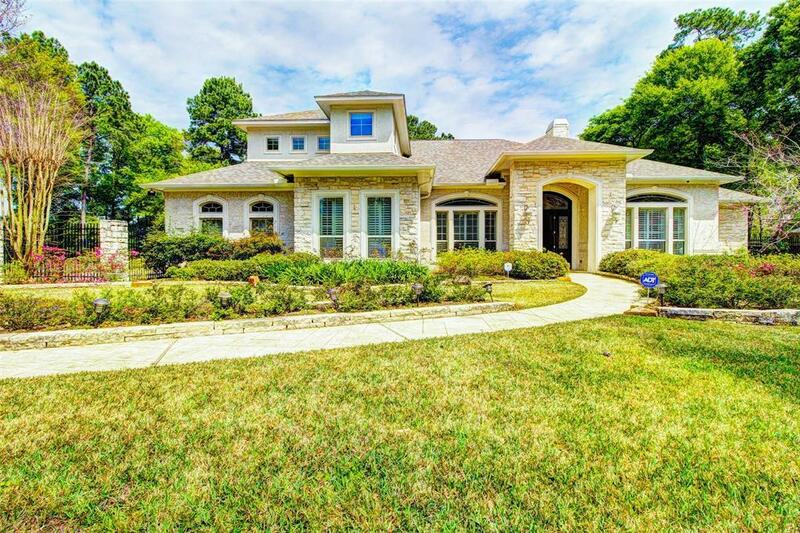 No detail of construction overlooked - Hurricane Resistant custom stucco/brick with 6-inch concrete walls, solid core interior doors, camera surveillance, attic radiant barrier, concrete slab with bell bottom piers and many more outstanding features. Well-appointed with high ceilings, all carpet recently replaced, all baths with granite, recent wood floors in entry, living and dining. Gourmet island kitchen with granite, recently installed stainless appliances, built-in fridge and gas cook-top. Home also has a private guest suite with full baths and entertainment space. Park like backyard with a tropical pool, waterfall and spa to complete your oasis. Gated driveway, 3 car garage,with no backyard neighbors. Wooded lot creates a serene setting while located so close to great entertainments nearby.